In Texas, we have come to expect dramatic changes in weather. Hurricanes, tornadoes, weeks of rain, weeks without rain -- we know Mother Nature will keep things interesting for us. Of course, Hurricanes Ike, Rita, and Katrina and the destruction they caused in the Gulf Coast region back in the last decade are still fresh on our minds. Sadly, many Americans still choose to ignore history and refrain from purchasing a flood insurance policy to protect themselves and their families. 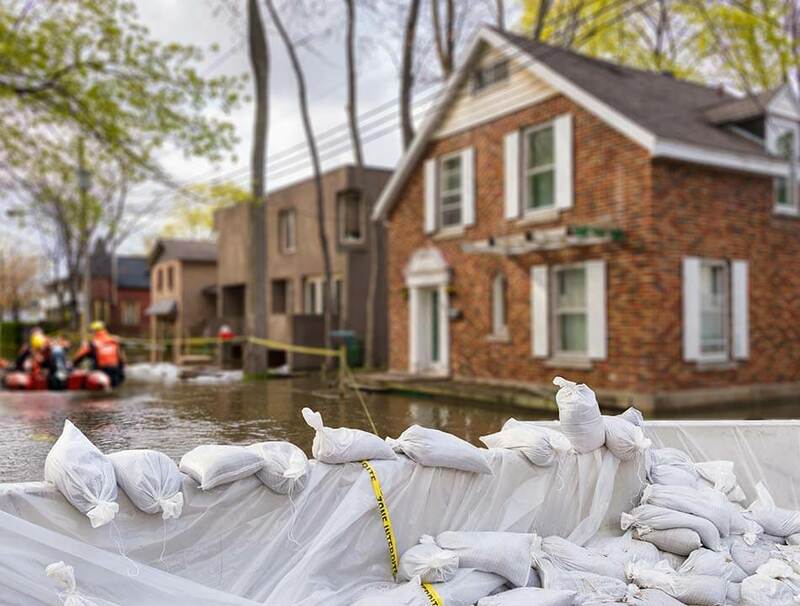 Whether they assume they will not be affected by flooding or whether they feel flood insurance isn't worth the cost, they leave themselves susceptible to heavy water damage. Dean & Draper Insurance Agency wants to make sure all homeowners are insured for the unpredictability of Mother Nature, in the Texas Gulf Coast and throughout the United States. Those living in low-lying potential flood zones are particularly at risk; in Houston, this equates to most of the city. Flooding is not covered by a standard homeowner's insurance policy, and flood insurance is only available where the local government has adopted adequate flood plain management regulations. The flood insurance agents at Dean & Draper will work together with you to determine if you qualify for flood insurance under the National Flood Insurance Program (NFIP) and help you identify the best flood insurance policy for your purchase as well as any discounts you may qualify for. Buying a residential flood insurance is actually quite affordable compared to other types of insurance, and with flood insurance, you qualify for reimbursements regardless of whether or not your area was deemed to be a federal disaster. Ask yourself which cost you're willing to bear: a few hundred dollars every year for a flood insurance premium or potentially tens or even hundreds of thousands of dollars in repairs and replacement of property and personal possessions. The math couldn't be any simpler. For more information, and to make Dean & Draper your personal flood insurance company, please call 1 (888) 266-0444 or (713) 527-0444, or simply fill out and submit the form below to learn more about our Texas home flood insurance rates and policies.